The most recent cover, one of three covers we printed. With a crew of two we made covers in basements and hallways. UCLA has roughly 600 Dreamers on campus. I'm proud to share their heroic stories. One of my all time favorite covers. How often do you see joy on a cover? 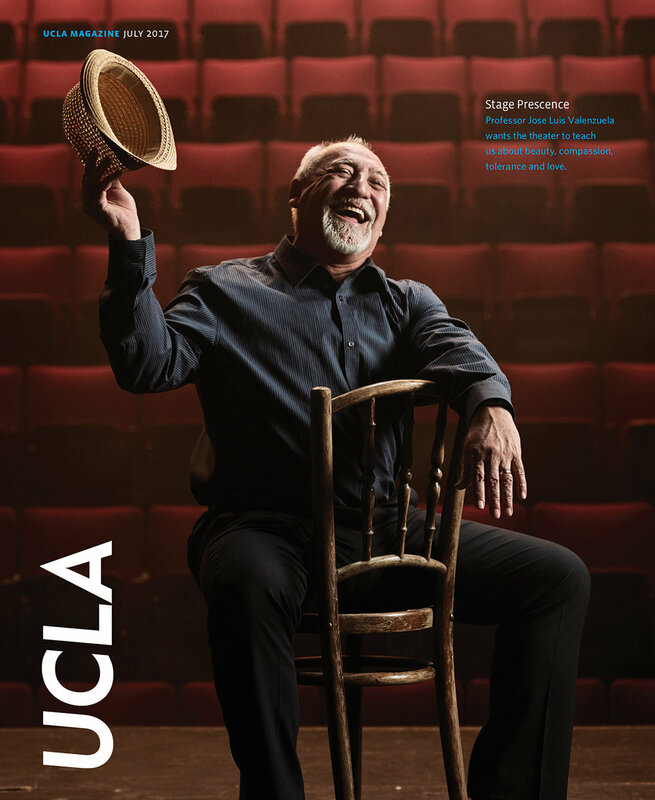 I loved working with this well known theater director and representing UCLA through his positivity and energy. I sent a great photographer to shoot the LA River for a couple days. He came back two weeks later! I love that this cover looks like a time before man, when really it's about 50 yards to the 10 freeway on the right. A story about the women's diving and swim team. Our photographer shot from the bottom of the pool looking up. Sometimes the simplest covers are the best covers. UCLA was voted the most vegan campus in the country. We turned the typical vegetarian food shoot into drive thru heaven.